When it comes to warming up your home, returning to natural firewood is a way smarter option than electric heating systems. It costs less, it’s more sustainable and it doesn’t have the hassle of using electricity or gas. But when you’re up to managing your own firewood, you might need some technical assistant. And the most important of them is a cutting tool. Chainsaw is a mechanical saw massively used in tree limbing, felling, pruning, bucking and cutting firewoods. Electric chainsaws are super easy to operate and takes a whole less of manual effort. There are many types of them, made for dealing with different materials and workload. But when it comes to cutting firewood, it needs to be assisted with some additional tools such as log lifter or log jack. 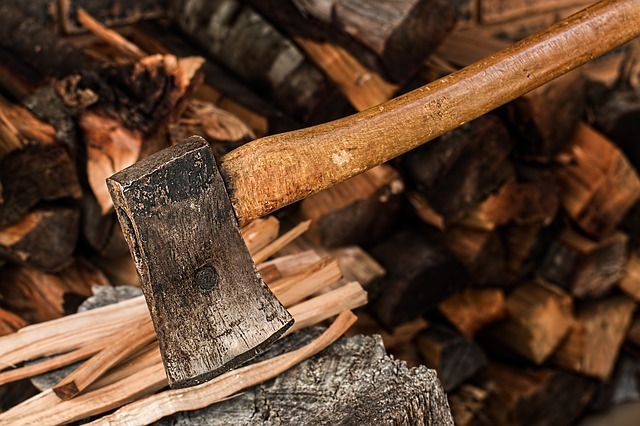 If you don’t mind putting effort with an axe, splitting axes can be the go-to choice of yours to cut firewood. In fact, people with a good height often prefer this over splitting mauls or log splitters. There are some particular types of firewood that you can work on with a splitting axe. 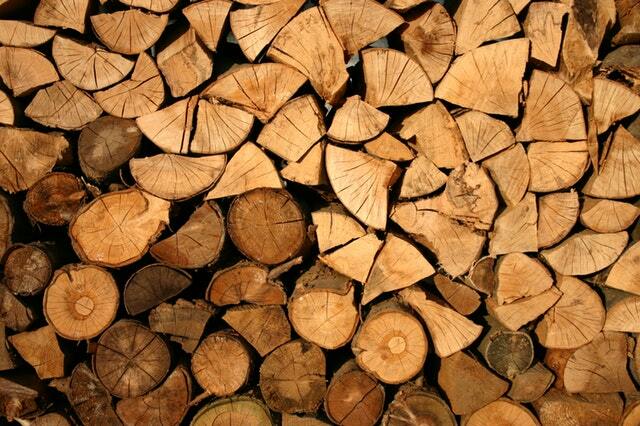 The ideal ones are medium and large-medium sized logs. As the splitting axes have a perfect weight-balance throughout the structure, the swing speed and power come to be as strong as an aluminum made baseball bat. As a benefit, you can make one-strike cuts quite comfortably. Splitting mauls have some other names through which you can recognize them- the blockbusters, hamaxe, sledge axe, block splitter etc. The structure of this device is one-sided sledgehammer, and the other side is just like a regular axe. As the name suggests, a log splitter is solely made for splitting logs. It can cover anything from softwood to firewood or even hardwood. They are electrically powered through a motor or hydraulic pump. Gasoline or other similar fuel are used to power them up. There are non-electric versions of log splitters as well, where a hydraulic piston is used to drive the wood onto a blade. The blade is kept stationary on a place. Sometimes, rotating cone-shaped screw mandrels are also used. They are also known as Hognose, Sawzall etc. They are automatic devices, where a pull-on gesture of the blade is in charge of cutting the wood. There are a metallic handle and a large blade that acts as the jigsaw. When it comes to works like demolition of workpieces like doors, windows and walls, reciprocating saws the go-to choice of many carpenter. Apart from regular firewoods, you can use reciprocating saws to cut materials made of metal, plastic, ceramic etc as well. Wood splitting wedge is a pretty much traditional tool to deal with, as long as carpenters all around the world are concerned. It’s small in size and often treated as replacements of axes.In fact, the compact size and easy-to-carry structure are one of the many advantages of it. You have to input less effort to get done with splitting firewood. It cuts wood by a single swing without creating any kind of crack in the wood. If you don’t want to go automatic or electric, hand saws are the perfect tool for you to cut firewood. No gas, electricity or oil is needed. What you need is the hand loboor.When it comes to sawing down smaller trees to collect firewood, hand saws are more prefered. They have two major varietiues- one man and two men. And both of these versions require frequent sharpeing. If you want to deal with firewood which needs a deep cutting, brush axes can get the job done for you. They are designed to make deep cuts in both softwood and hardwood.Brush axes come in a number of sizes and styles. Based on the wood type that you have to deal with, you need to make the choice. If you want to make a V-cut into firewood, sledge hammer or wedge hammer can be your assistant throughout the way.Sledge hammers and wedge hammers- both can vary a lot according to sizes. Based on different wood cutting needs, there are many forms of design. There are also some models where you have dual blades on both sides of the sledge hammer. Firewood racks are also called as log racks. For firewood management, they are often used as an assisting tool. The objective of these tools is to hold and stock firewood on an exact location.Although, it’s not a cutting tool for direct use. But it’s an obvious part of firewood management. You might have to keep it in the tool bag when dealing with firewoods.